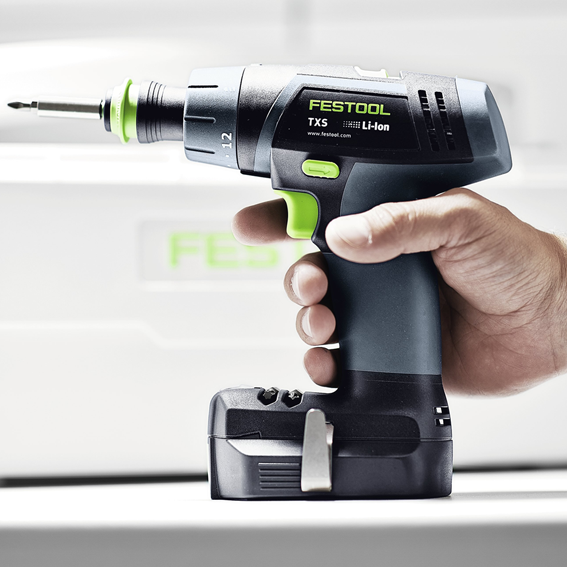 The Festool TXS Basic is a fully-featured drill in a familiar T-handle format. 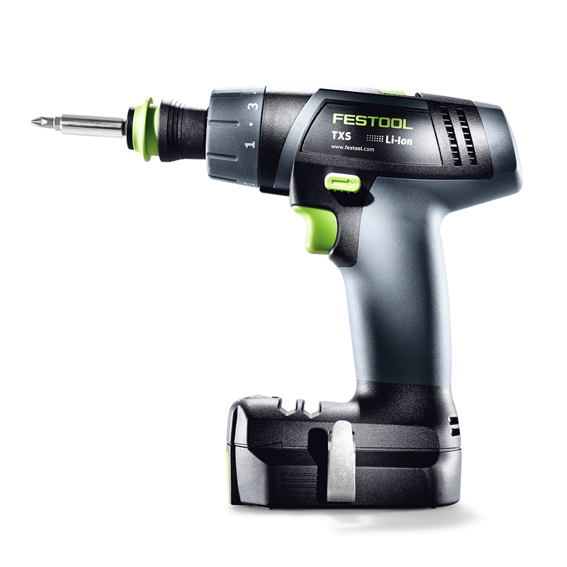 Just like the CSX D-Handle version, the TXS delivers plenty of torque for drilling and driving in a compact and light format that feels like an extension of your hand. 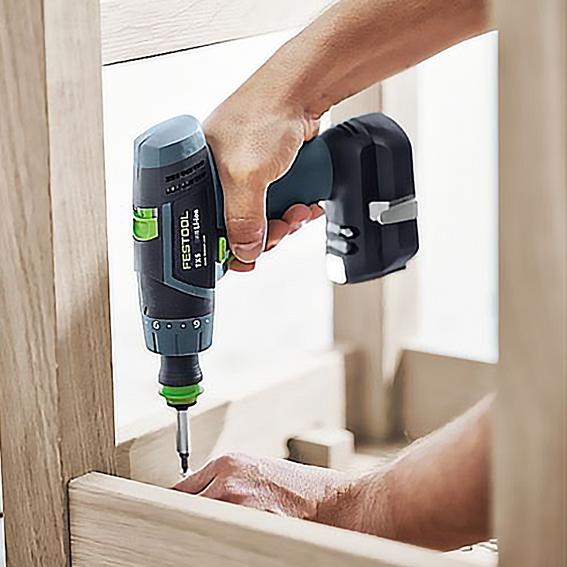 Advanced features like LED illumination, fuel gauge, bit storage, and removable & reversible belt clip offer everything you expect from a full-sized drill in a compact package weighing in at less than 2 lbs. 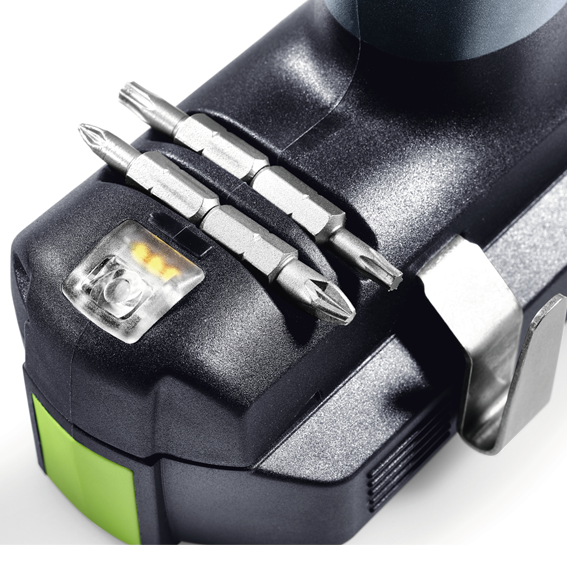 You can easily drill and drive into tight spaces with the optional right-angle chuck that provides 16 settings while maintaining a compact length. 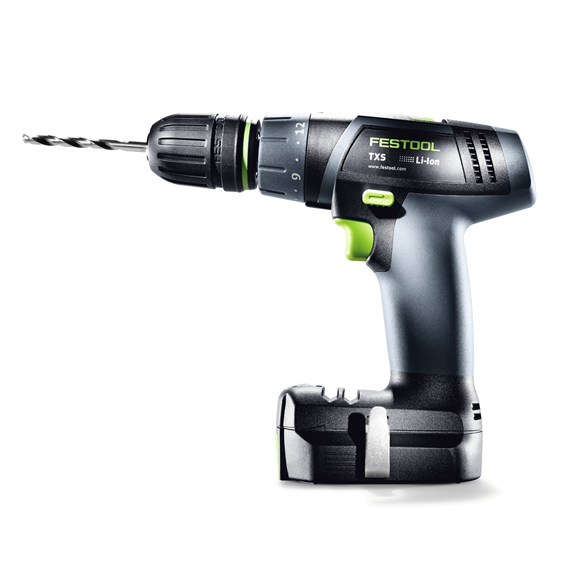 TXS Cordless Drill Basic – Includes the TXS Drill; MXC Charger; two (2) 10.8 V / 2.6 Ah Lithium Ion Batteries; a 3/8" Keyless Chuck; a Centrotec Chuck; a BH 60 Centrotec Bit Holder; a PH 2 Bit; and a SYSTAINER SYS 1 T-LOC.